Sorry, this offer has ended. 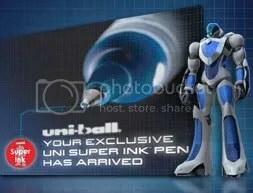 Get your free uni Super Ink pen directly from Uni Ball if you haven’t already! Lots of my readers have already gotten theirs in the mail! It’s available to the first 10,000 people to request it each day until they give away 500,000 (or reach April 30). If all 10,000 pens are given out each day then this freebie will no longer be available after March 1. There is a limit of one request per person – so if you’ve got more than one adult in your household then you both can ask for one! Thanks goes to Moms By Heart for the details on this free pen promo. I can't figure out how to get it! =[ HELP! I have not recieved mine yet and I registered for it right after Christmas… I hope it comes soon. Love my pen and use it all of the time. Thank You Freebies 4 Mom. It let me order two per my email address (using different first names), but when I tried to order two for my parents (different names, same email address), it gave me something along the lines of "Someone with this same email address has already ordered a pen." I just got mine the other day! I got mine this week and I really don't like it. It writes scratchy and no at all smooth. Bummer. I just received mine this past week and I love it! Thanks for posting this great freebie! I got mine. It is so nice. i got all of mine the other day, all black…i got 4, i love them too! 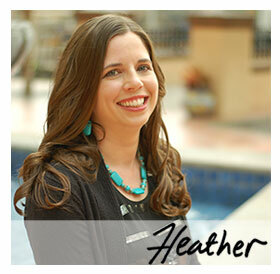 Thanks Heather – Received mine a couple of days ago and absolutely love it. I received 2 red ones, but they are great for crafting and signing cards (Christmas, Valentines, Birthday). Got mine today! LOVE IT! Thank YOU!!! Our two pens came in today, one for my husband and one for me. Both of ours were black and they're great! We'll be buying more for sure.Thanks for posting! I got 2 in blue! They are great! I have two more on the way. As long as you have different emails it works fine. I just tried to order one for another person in my household and it came up. This email address already used, so evidently you can't order two per household. just FYI. Wow I sure hope I don't get a red one I will be so dissapointed and my son too. We wanted for professional use and that will not work. I am so surprised they did that because they will not get used and therefore not a good promotion for their pens. I received mine also and as a few others have mentioned-mine is red and since it was promoted as a check writing tool that was not expected. Many banks do not allow red pen for that (and many stores also-that is why they all have blue or black at checkouts!) plus I hate writing with red so I think I will be donating it. (plus if you are color blind red is aweful!) anyway-can't complain about free-but I am not excited about this freebie at all. Got mine yesterday. Love it.Thanks for the tip. Mine was red. But I love the pen. I didn't do a good job of opening my package and ripped my coupon. I received 3 in the mail. All black ink. I really like them! hello,how to i sign up for the free pen offer? I received mine this week as did my hubby. Ours have blue ink! Very nice freebie! I received mine and it is a nice pen but it is red ink. This is supposed to be used for check writing and other important documents. Who writes those in red ink? Just got mine yesterday too. It's now my favorite pen! Thank goodness it comes with a coupon. I got mine on Wednesday. Love it! i got mine! it's a super cool pen, but mine is red. I received mine and so did my Husband this pas weekend. My Mom received an email saying hers was in the mail and she should receive it this week. The pen writes in black and is very nice. My Husband loved it!!! THANKS!! I got mine yesterday and I love it. it is so comfortable to write with and the ink comes out smoothly and not wet. it looks like ink that was stamped or printed on paper.